In Texas we have a saying – all hat and no cattle. Basically that describes someone who is all talk and no action. I’ve met a lot of bloggers like that and I bet you have, too. I get SO frustrated when I buy a course or pay for coaching only to find out that the person can’t produce what’s promised. Here’s the thing, not only do my courses have a 30 day money back guarantee but you can read what other bloggers, many of whom you probably know, have said. 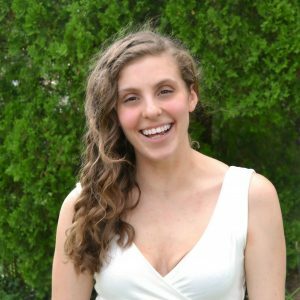 Marye has a knack for teaching complex subjects in a simple, approachable, and fun way that anyone can understand. “I’ve been blogging way too long to have not put any effort into SEO but it was just so intimidating. Then I was introduced to Marye. She makes it so easy to understand. Within a week of my first consult with Marye, my business began to shift. The attention I put into SEO began to pay off almost immediately. Two weeks later, I started the Search Engine Seduction online course. The tips and best practices I’ve put into place have made a tremendous impact – my page views this month are up 38% over last month! SEO isn’t rocket science, but it is hard to digest. Marye breaks it all down in easy-to-understand modules with step-by-step guides. Marisa has completed Search Engine Seduction, Analyze THIS!, and Keys to Keywords courses. She couldn’t be happier with her traffic which topped 100,000 page views a month this year. Debra Clark has also finished all three courses and she’s on her way to hitting 100,000 page views a month, too. 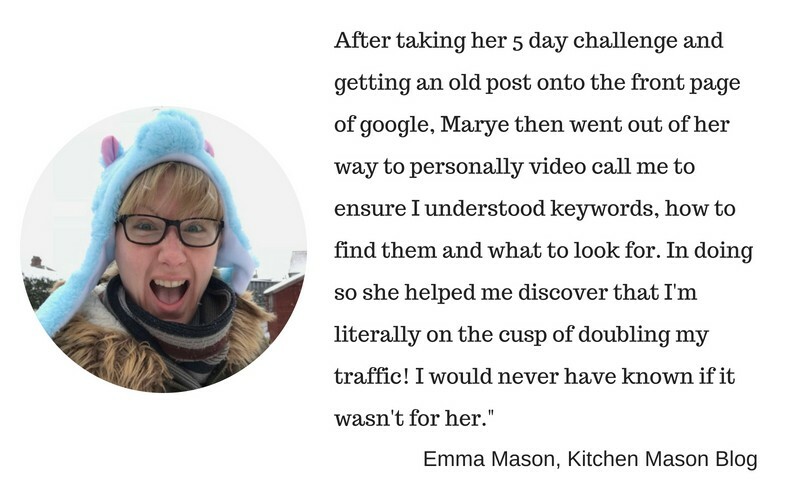 Emma Mason had a turnaround after just taking the 5 Day Challenge! How about you? 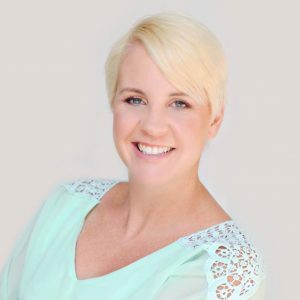 Are you ready to finally shatter that frustrating glass ceiling and watch your traffic (and income) grow? Check out my courses.